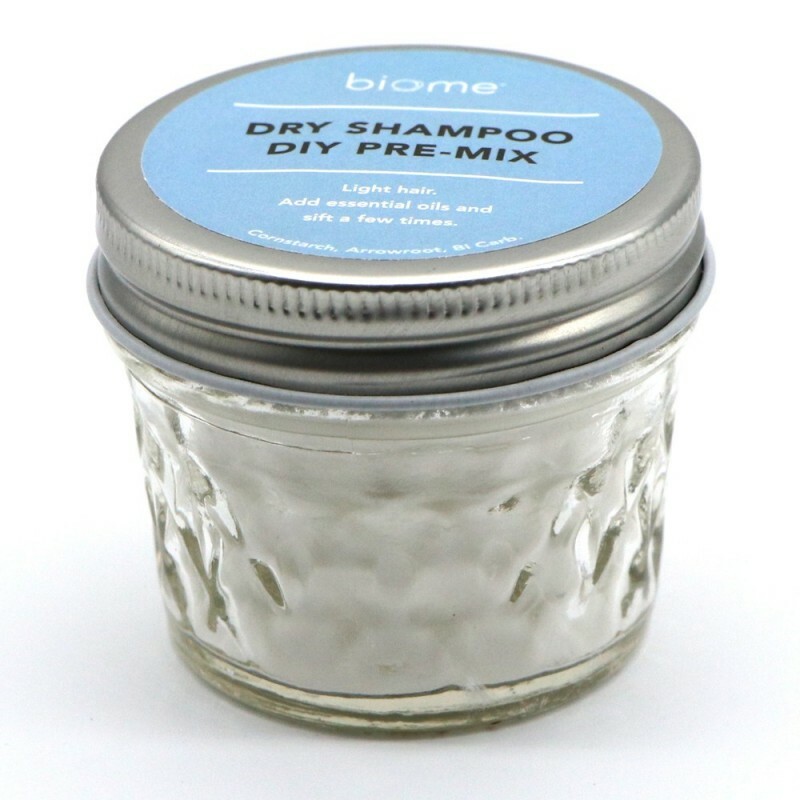 A dry shampoo and DIY pre-mix powder to absorb oils and remove grime from your hair without water. Helps revive and boost dull hair in between washes, when you’re in a rush and it's great for travel. Use as is or add any essential oils that suit your hair care needs. Specially formulated for lighter hair colours. A fresh approach to body care by starting again... Reconnect with nature's way. Simply beautiful, multi-tasking products made with minimal pure ingredients, and packaged in glass. 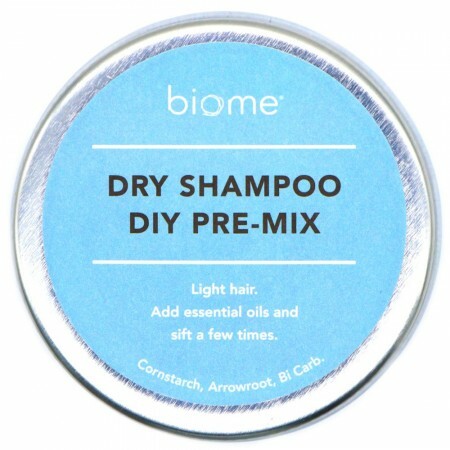 Biome’s unique hand-blended products cleanse, nourish and hydrate without complicated, expensive formulas. Packaged in a reusable, recyclable container, creating less trash for landfill. Prefect for light hair colours. Great in between washes, travelling or if you're simply short on time. Think festivals, camping, etc. Simple base of natural ingredients. 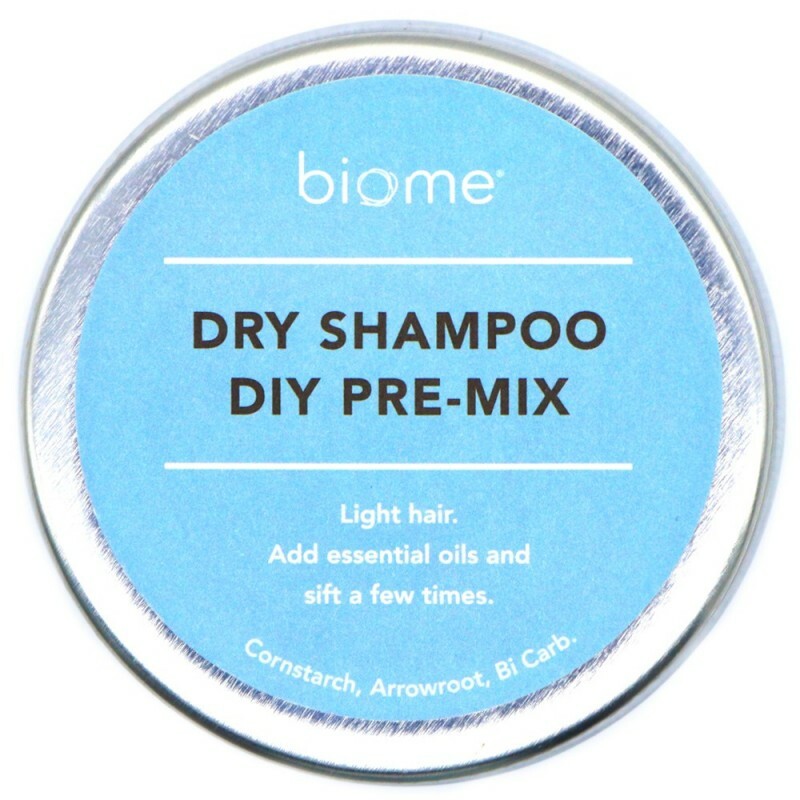 Helps absorb oiliness and remove grime while reviving dull hair without water. 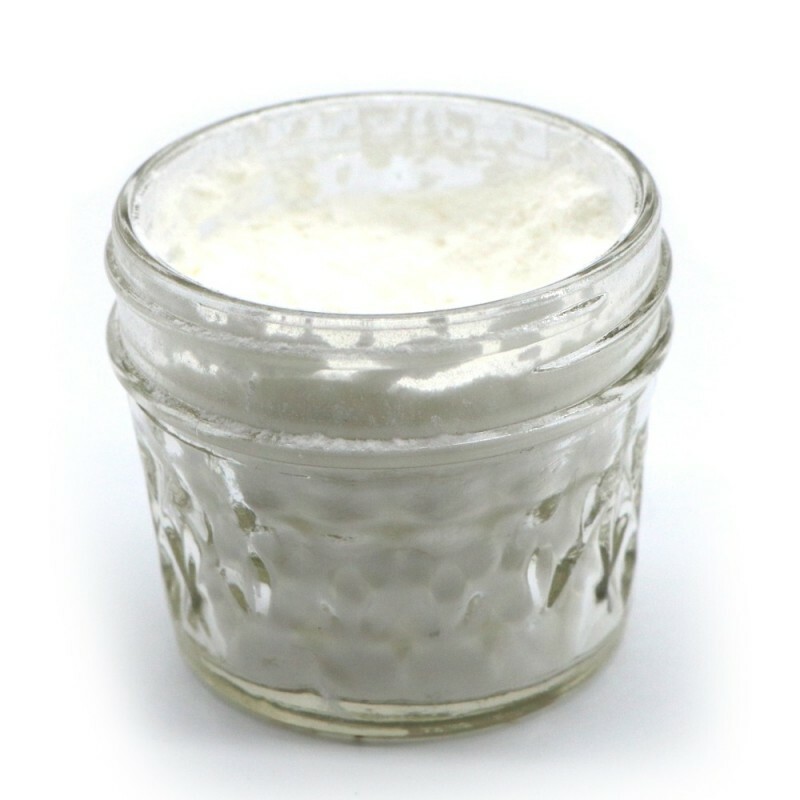 Pour a small amount into your hands and apply directly to roots and scalp. Massage in and then comb through to the ends. Shake out any excess. Tip: Do this over the basin as it can be messy. Add your own blend of essential oils to the base to suit your needs. Eg: add a few drops of Rosemary essential oil to refresh, invigorate and clarify the scalp. 20g. Reusable and recyclable aluminium container. Browse our other hair care.